Easter! The time for eating your bodyweight in chocolate until you're so fed up of it you're glad when the weekend is over (just me?). Well don't you worry, I have a refreshing alternative to your usual Easter chocolate - Katjes Magic Candy Factory at Fenwick Food Hall in Newcastle. 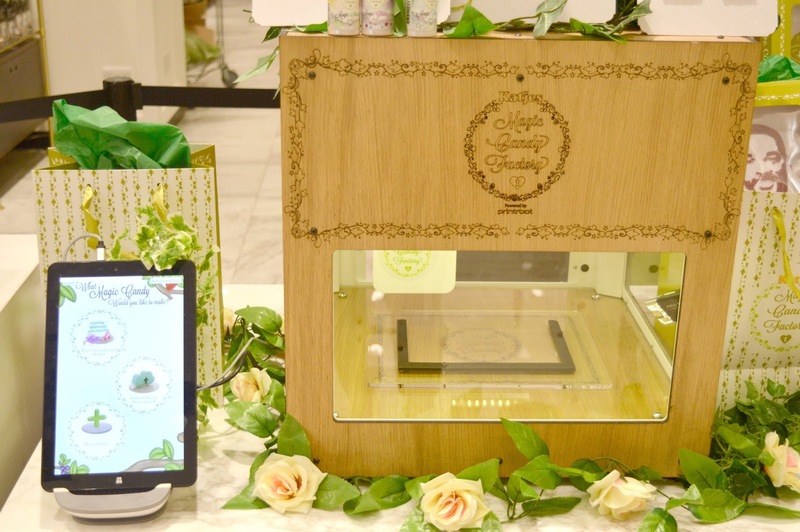 A pop up with a difference, Katjes Magic Candy Factory is the world's first 3D gummy candy printer, and they've now arrived in Newcastle over Easter to give us all the opportunity to make our own selfies out of sweets. 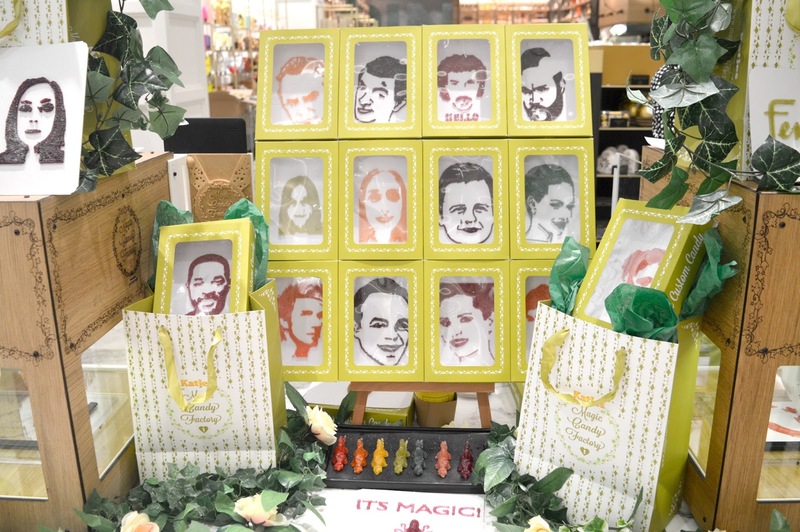 Fenwick invited me to their store in Newcastle to give it a go and I couldn't resist seeing what my face would look like in sweet form. It didn't take me long to find the pop up, the colourful stand in the Food Hall is pretty hard to miss and as I was there an endless amount of curious customers stopped for a chat, it seems that the people of Newcastle are big fans of sweets. Something tells me Katjes Magic Candy Factory is going to be a popular place. My trip began with a look at all of the sweetie selfies of famous faces that appear on the stand. It's a little who's who of Geordie celebs, definitely worth taking a look just to see how many you can name. I definitely spot our favourites Ant and Dec in there. 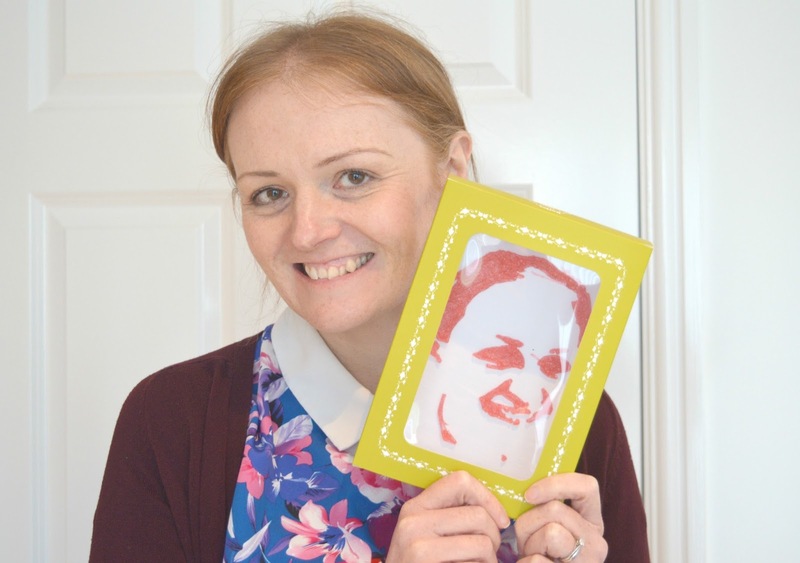 The pop up isn't all about selfies and if you don't fancy creating your own face there are plenty of other options including 3D animals, writing your own messages, drawing your own shapes or using one of the pre created templates. I was very impressed with the Newcastle template which would be the perfect gift for any proud Geordies in your life. I decided to create my own sweetie selfie so settled myself into the "selfie chair" where the lovely ladies at Katjes Magic Candy Factory took a snap of me using an iPhone and selfie light (which I really need to get my hands on!). My biggest decision came when I had to pick which flavour I wanted my sweet to be - there were loads to choose from and they all sounded delicious - Tasty Tropical Blue, Beautiful Blackcurrant, Elegant Elderberry, Gorgeous Green Apple, Luscious Lemon, Marvellous Mango, Ripe Raspberry and Sublime Strawberry - all the flavours are natural, vegan friendly (as well as Gluten Free, Dairy Free and Nut Free!) and there's even a nutritional information leaflet with all the ingredients listed. 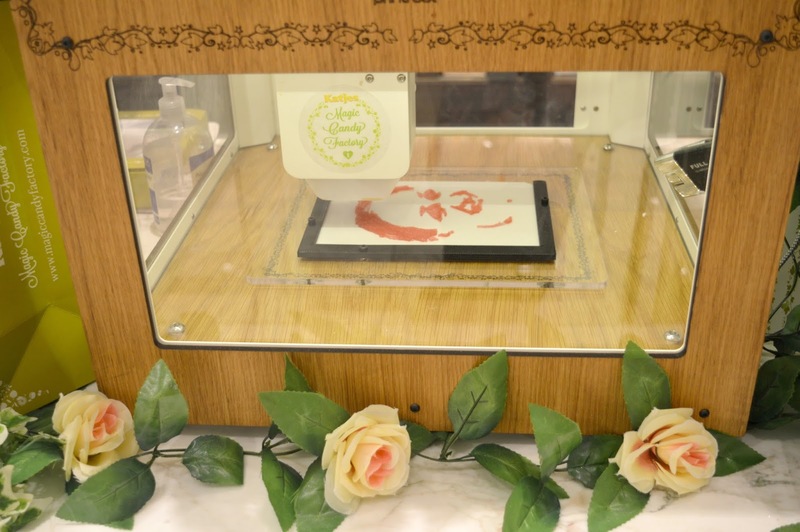 I chose Sublime Strawberry and then it was over to the 3D printer to see my creation come to life. Sweet selfies take less than 5 minutes to complete and I loved seeing my face appear in front of my eyes. It was so clever! I was very impressed with the finished results although do wish that I'd worn my hair down to get slightly more candy. If you are planning on heading to Fenwick to make your own sweet selfie I'd recommend wearing your hair down or maybe accessorising with a nice big chunky scarf round your neck or a hat to get more candy in your selfie. My selfie was finished with a spray of Magic Fizzy Dust (there's also Magic Glitter Dust or Magic Sour Dust if you'd prefer), put in a beautiful display box and packaged into a gift bag. If you can't resist eating your selife immediately the candy is especially tasty when it's freshly created but if you want to keep it for a while to show all of your friends your selfie is good to keep for up to a year in its unopened box. 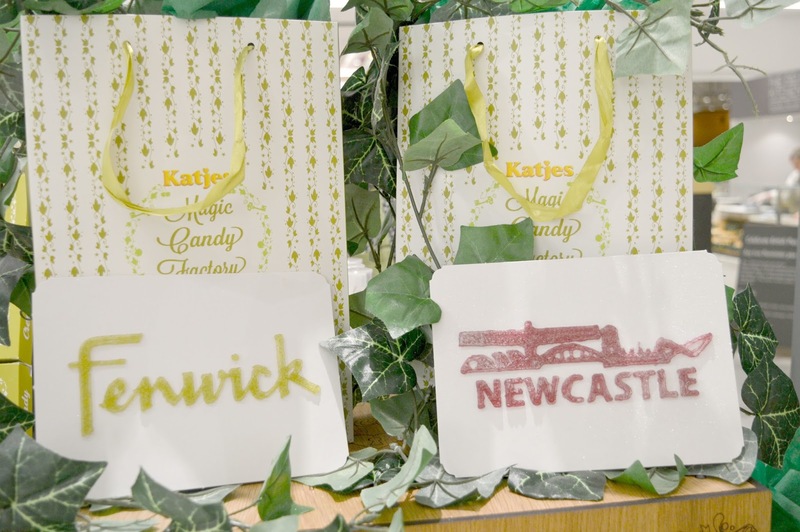 Creating your own candy at Katje's Magic Candy Factory costs £10.00 and you'll find them in the Fenwick Food Hall in Newcastle until Sunday 23 April. 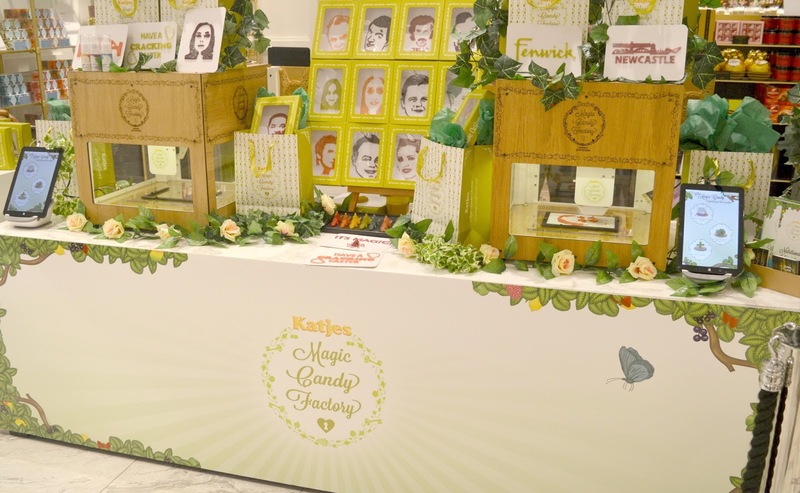 Fenwick invited us to try out Katje's Magic Candy Factory for a complimentary selfie. All thoughts and opinions are our own. Amazingly I haven't bitten in to it yet!